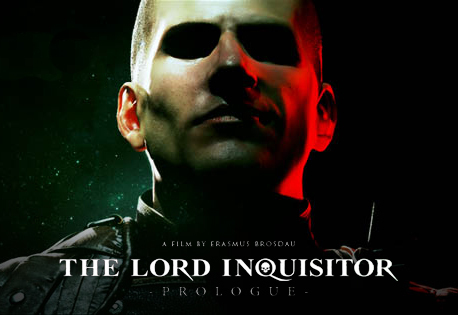 Today I have another exclusive interview with Erasmus, the creator of The Lord Inquisitor movie project. 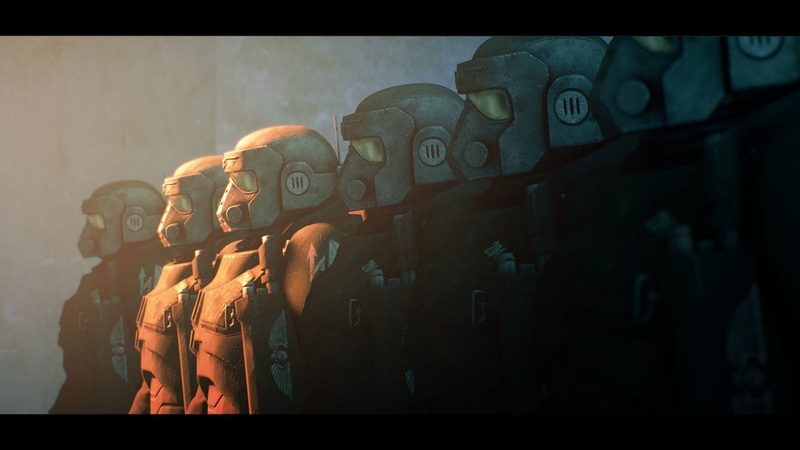 We are drawing ever closer to the release of the prologue, a standalone short animation. With it's imminent release we are also learning more and more about the main character of the film, Marcus. 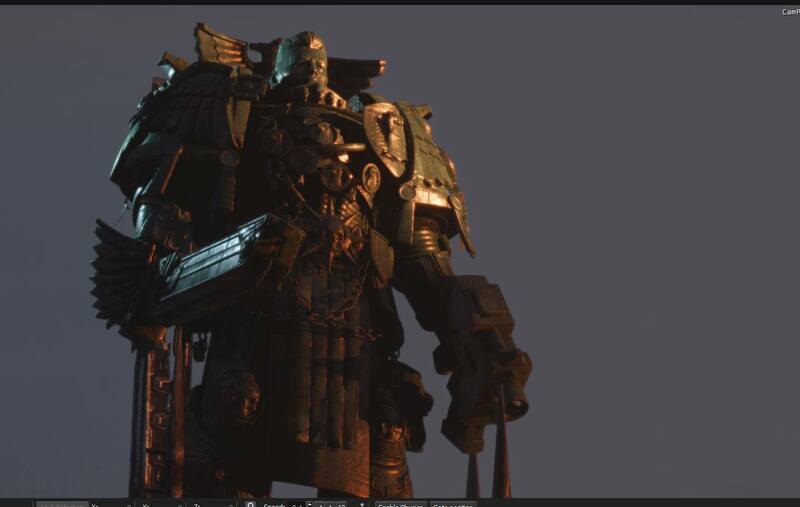 Check out what Erasmus has to say about the first unofficial, fan made 3D animation for 40k. Tyler: It’s hard to believe that it’s been almost a whole year since the last time we checked in with you. The Grey Knight teaser that came out back then was pretty positively received by the community, what type of feedback have you received on that? Erasmus: Yes, time flies it seems :) I received like 95% positive feedback only, fans really seemed to love it, which is of course really motivating for me and my brave little team to push quality even further. I really just wanted to show a Grey Knight walking down a corridor, but as always I somehow spin together a little story and increase the workload. That takes more time, but the result mostly is really worth it. Also it was a completely new workflow, as for the first time I was using a realtime rendering engine to produce my content. The quality is slightly lower due to the realtime workflow, but I can put much more focus on the look development process, framing and lighting. Adam Harvey again made fantastic music for this and it turned out exactly as I hoped for. I thought a long time about music for The Lord Inquisitor, and as it’s basically an 80’s scifi universe for me, I wanted to bring back some synths sounds to the orchestral elements. I find pure epic orchestral stuff a bit boring these days, as we all know so many epic themes. Adam and I tried to mix these two worlds slightly and I think it worked out just nicely. It was also great to see that people noticed the great sound effects, which were made by my friend Christian, with whom I work together at Crytek. While I created the teaser I saw it hundred times without audio first, so once I heard the first pass from him I had a huge smile on my face, and it seems so had the fans. Tyler: I think it’s safe to say that a few things have changed since then behind the scenes as well. What has happened with the script since we last checked in? Erasmus: Yes, the script aspect of this production is still what gave me the most headaches, as having a proper and interesting story is my main point of interest. All visuals, audio and fancy effects are nothing when the story and characters are lame. Also, when you work on just one shot for weeks, you better be sure that this is really what you want to show, to justify all those efforts. 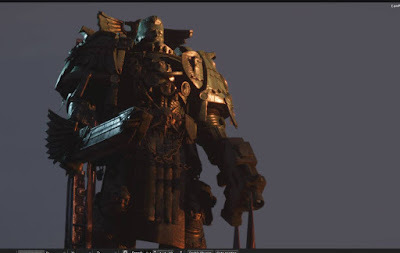 I worked a long time together with Aaron Dembski Bowden on the core of the story, we thought of ideas, scenarios, characters, etc., by always wondering: what can you really tell in a short movie, especially with a universe as complex as W40k. Aaron was really busy, so in the end I was developing the core story, which we iterated on a dozen times. I switched the focus from Torquemada to his acolyte Marcus, which was way more interesting, especially as I noticed having him being a puristic kind of guy was basically boring, so I made him a much more complex, almost radical like inquisitor. Eventually, Aaron became just too busy with job and family and we decided to split ways, as it was almost impossible to find a meeting anymore, where he and I had some free time simultaneously. Luckily, I was quickly referring to my team member Robert Low, who knows way more about 40K than I do and who is deeply involved in writing. I met with him on skype, updated him on the situation that we had finished the story, but needed somebody for details and dialogue polishing. It was amazing to see how dedicated he was and how he put a ton of effort in his writing, with fantastic results. Writing a script for a short movie sounds easy, but with my limited resources, limited time and my goals to make it as awesome as possible, it was incredible hard. It’s easy to think of an epic scene and great interaction between characters – but when you estimate the workload you quickly notice that you will spend many years on it, when being possible at all. Finding the right balance between the amount of characters, action, narration, plot twists, etc was the challenge, and I think we did a good job on that. To be honest, writing a 2 hour movie would have been a lot easier, but it’s completely impossible for me to create that in this quality in my free time. Tyler: A brand new teaser for the movie was released a month or so ago, this one focusing on Marcus, the protagonist. Can you tell us a bit about that? Erasmus: It’s really a very short one, the purpose was basically to show the final 3D model of Marcus, which I spent quite some time on. I like to call him Marcus v4, as it’s the fourth time I made this character from scratch, to finally end up in a quality I was happy with. This character now is packed with in depth CG knowledge in all areas and made with really high precision to get the most realistic appearance I could accomplish in my free time. The teaser itself shows Marcus walking through a corridor, dropping his Lho-Stick and saying the famous line “nobody expects the inquisition”. Of course this is an homage to Monty Python – somebody had to do it – but it actually fits perfectly to what comes afterwards. This teaser is basically playing a few minutes before the actual prologue and Marcus is on his way to a mission on Terra. So for me, this was like killing three birds with one stone – presenting the final model, testing the pipeline of animation + facial animation performance, and narrating a tiny bit of story, which relates to the prologue. Tyler: Marcus, the main character of the film and Coteaz’s acolyte, finally has a voice! What was it like finding the perfect actor to bring your character to life on screen? Erasmus: I had many applicants who wanted to contribute to the project. I really listened to all of them and gave feedback what I liked, or if I couldn’t see a fitting place. I’m also sorry if I forgot to reply to a few guys, there were really a ton of mails for me to answer. 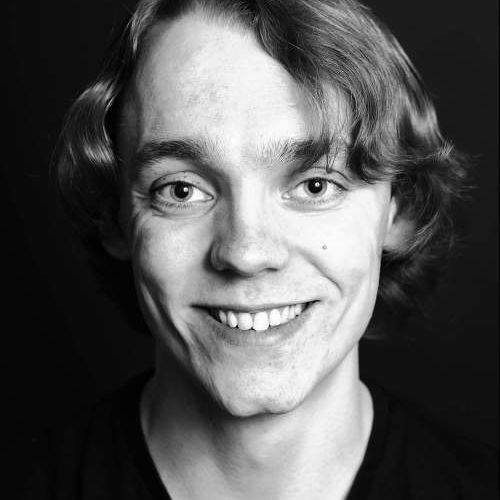 One of the applicants was Christopher Penman, who had a really interesting tone in his voice. 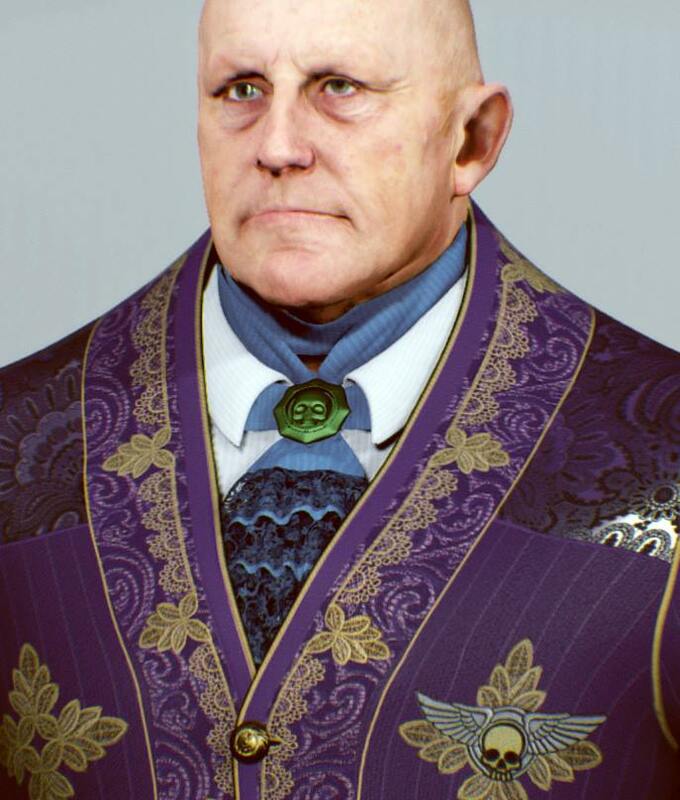 I didn’t want Marcus to sound wise and aged, he should sound young and being able to have something ironic, but also serious in his voice, depending on the situation. I made a small test scene, the one which you can see on youtube where Marcus sits in his chair, repeating always the same sentence, in order to hear my favorite actors doing the same speech. Chris was definitely the best for this and I was really happy to have him onboard doing all the voice works. I have seen Marcus for around 4 years standing in his default T – Pose in my 3D software; seeing him now in motion and hearing him saying some words is really fantastic and a great reward for the long production time. Tyler: The Lord Inquisitor has a brand new website as well where fans can find out all about the project. What were you looking to create with this new site? Erasmus: The previous website was really outdated and I wasn’t able to update it properly on a regular basis. It had a news section, which was a great idea back then, but quickly it turned out 99% of all the traffic and interaction is happening on the Facebook page. So it became annoying to post everything double, or even to have them automatically posted on FB from the website as embedded links. So the new website is way simpler and slick, its purpose is more to be a documentation about this project, not a constantly updating and living website. It will feature the history of the project, many images and of course the main videos, as well as general information about the team, technology and other specs of the project. I will update it from time to time to make sure all info is available and proper placed, but then I can be sure if somebody stumbles upon this project, he or she can find all information and videos on this particular site. But there won’t be any news or special announcements on the website, all this will be on Facebook only. Tyler: The release date for the prologue is fairly close now, which I’m sure will be exciting news for all of the fans who have been following this project closely. What can they expect from the prologue when it releases and how will it release? Erasmus: The prologue marks the biggest mile stone for this particular project ever. Also for realtime rendered animation it will be a new standard, as the quality is really high. It will be something around 5 minutes, exclusively on our free YouTube channel and fans can expect to see an incredible view on the beauty of this universe. Architecture, characters, music and narration are flowing into each other to create this standalone piece, building up the basis for the whole short movie. I hope I can drag all fans into this fantastic universe through the screen and after these short 5 minutes they just want to see it again. You probably know already I like to exaggerate the workload in order to push boundaries even further and the prologue is really beyond crazy. The amount of assets and characters in there is higher than all previous trailers and teasers combined – already in the first scene. So I think fans will love it and all the waiting time will have been worth the wait. For me it’s a small dream come true, I work now over 5 years in my free time to have shaped this project into the visuals that will be shown in The Lord Inquisitor: Prologue. Tyler: What’s in store for the future of The Lord Inquisitor once the prologue is out? Erasmus: At least for me a few weeks of holiday :) January to end of April are really intense for me, as I direct two different projects over at Crytek and in the evenings I work on the prologue. All projects have kind of a similar deadline, so pressure is high. Afterwards however the fun continues with the remaining story. I know all the scenes, settings, characters, etc., so it’s really just a matter of getting things done. I hope to be able to produce all this in one year, so same time in April the year after we can all watch the final piece. Production of characters, testing pipelines, etc is all done, now it’s just straight production of content. It’s actually amazing to see the characters being complete knowing you don’t need to open their 3D files anymore, just put them into the scenes now. Erasmus: It’s so great to see that many people have followed my progress since day one. When I look back at the original blog from 2010, I had absolutely no idea where this would be going. People have seen me becoming better in my art skills and I hope I can do their expectations justice with the prologue. When I started, it would have been absolutely impossible to create this prologue we will see in a few months, I was just too unexperienced with CG, cinematography and developing a vision. Thanks again to Erasmus for taking the time to do this interview. You can find the brand new Lord Inquisitor site here. For any news and updates as they happen be sure to like the Facebook page here. Most of all, keep checking either or both of those places in the coming months because the prologue animation is almost ready to be released! Erasmus has plenty of bonus content planned out to satisfy everyone's Lordi needs until the actual release as well, so keep your eyes peeled.